New Delhi is known for historic sites, parks, shopping, museums, and fun & games. Your plan includes some of its best attractions: admire the natural beauty at Humayun's Tomb, explore the historical opulence of Red Fort (Lal Quila), take in the spiritual surroundings of Akshardham, and steep yourself in history at Gurudwara Bangla Sahib. To find photos and more tourist information, read New Delhi online tour planner . If you are flying in from India, the closest major airport is Indira Gandhi International Airport. Expect a daytime high around 45°C in June, and nighttime lows around 32°C. Finish your sightseeing early on the 27th (Wed) so you can travel to Miami Beach. Start off your visit on the 28th (Thu): wander the streets of Ocean Drive, then make a trip to Bayside Marketplace, then see the interesting displays at Vizcaya Museum and Gardens, and finally take a leisurely stroll along Miami Beach Boardwalk. 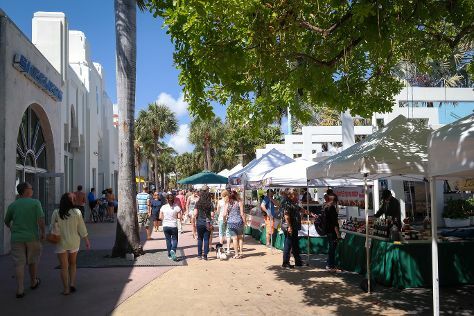 On your second day here, kick back and relax at South Beach, then admire the striking features of Art Deco Historic District, and then browse the different shops at Lincoln Road. For more things to do, traveler tips, ratings, and more tourist information, read our Miami Beach journey builder site . Traveling by combination of flight, tram, and bus from New Delhi to Miami Beach takes 21 hours. Alternatively, you can do a combination of flight, train, and bus. Traveling from New Delhi to Miami Beach, you'll gain 10 hours due to the time zone difference. While traveling from New Delhi, expect little chillier days and about the same nights in Miami Beach, ranging from highs of 37°C to lows of 29°C. Wrap up your sightseeing on the 29th (Fri) to allow time to travel back home.